You are going to Watch Youkai Watch Episode 32 English subbed online free episodes with HQ / high quality. Stream Anime Youkai Watch Episode 32 Online English sub The Sun Roars: Episode 3 ‘The Interrogation Room. 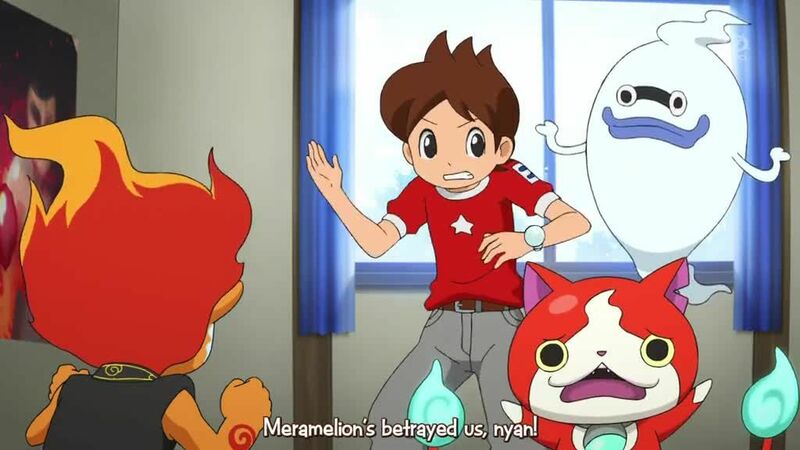 As summer vacation ends, Keita becomes worried that he has not finished his work for the break, and discovers that Kuma is possessed by the Yo-Kai Man’ojishi who has made him prepared. Later, with school starting up once more, Ikemenken and Kyuubi have a battle to see who can make the most of the students fall in love with them.